Manufacturer of a wide range of products which include air tray dryer, tray dryer and tray dryer oven. In line with clients' diverse requirements across the country, we are actively engaged in manufacturing, exporting and supplying a wide range of Air Tray Dryer. The offered range is precisely manufactured by utilizing the contemporary machines and modernized technology in synchronization with set industrial norms. We assure our clients, that our product is excellent on counts of quality and durability. Empowered by the use of advanced technology, we are providing our clients, a broad assortment of Tray Dryer. This tray dryer is used to remove liquids or moisture from bulk solids, powders by sublimation or evaporation. 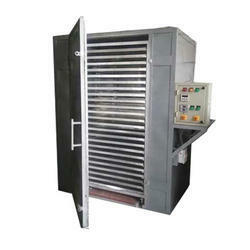 Offered tray dryer is manufactured by finest components in accordance with the industry standard. 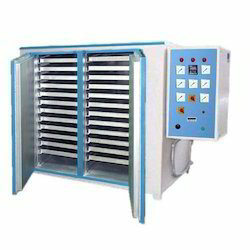 Clients can avail this tray dryer from us at reasonable prices. Leveraging on the support of team and modern infrastructure, we are engaged in offering an optimum quality Tray Dryer Oven. As per the set universal standards, our offered oven is tested on various quality parameters in order to ensure its quality. 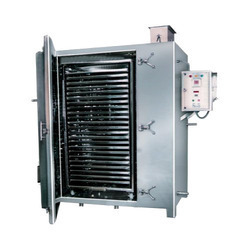 The offered oven is suitable for heat treatment, baking and drying applications in various industries. Apart from this, our offered oven can be availed by our clients in customized options at reasonable prices.